Homeopathic eye drops have the advantage of healing the underlying cause, rather than suppressing symptoms or artificially replacing fluids. The drops feel wonderful and seem to increase vitality by positively stimulating tired eyes due to aging. Cataract is a chronic condition expressed as the bodies inability in maintaining a clear crystalline lens. Considering there are no blood vessels to the lens, and that the lens is comprised of living cells which need oxygen, nutrition, detoxification and antioxidation - it is a miracle that even the healthiest eye can manage this task. It used to be that doctors would advise patients to wait until the cataract worsens, then replace it with an artificial lens. It is now recommended to implement natural treatments that support the bodies innate ability to maintain or even clear the crystalline lens. Surgery might be delayed or eliminated. 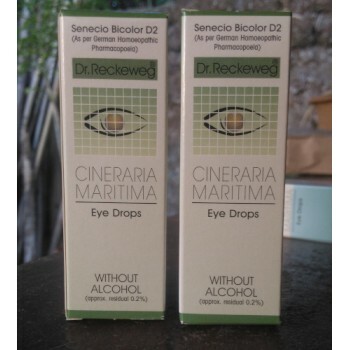 Two drops three times daily into the eye. 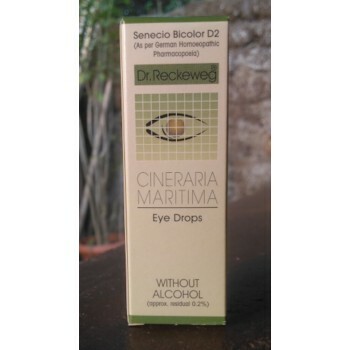 Cineraria Maritima 5x: Cineraria acts as a safe lymphagogue, increasing circulation in the intraocular tissues, also stimulating collateral circulation and normal metabolism. Clinical observation indicates the definite value of local applications of Cineraria in checking, or even aborting existing cataracts. The benefits attained are obviously more satisfactory when treatment is instituted in the early stage of cataract. In cases of advanced opacity, and where pathological changes caused by the deterioration of metabolic functions have occurred, as in senility, less favorable results can be expected. The use of Cineraria is justified in certain cases well past the incipient stage when an operation is not contemplated or indicated. It gives comfort to the patient to know that something potentially beneficial is being done. In certain cases, Cineraria only gives temporary relief or serves to postpone the surgical removal." Euphrasia 5x (Eyebright): is indicated for conjunctival and corneal edema. 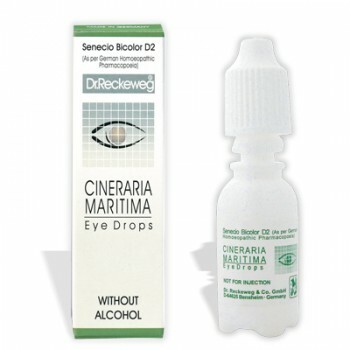 Symptoms include photophobia, redness, dryness, lachrymation, and burning of the lid margin Euphrasia also helps treat the irritability associated with eye problems. Often referred to as a "tonic for the eyes." Sterile water, Sodium (salt for isotonicity), Citrates (buffer) Polysorbate 80 (0.4% a light lubricant).